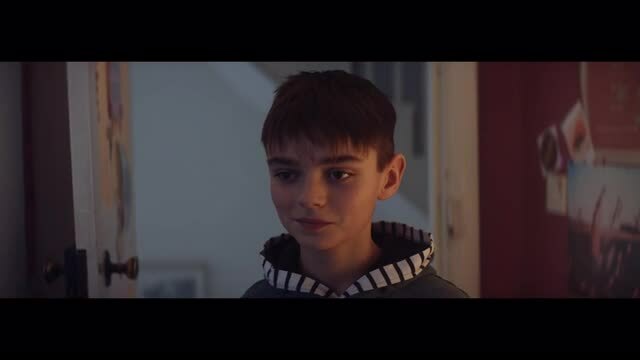 This commercial features a young boy who, at a family gathering, is scurrying around trying to nab a Mr Kipling cake. This “little thief” fails time and time again until, finally, he manages to sneak out with a Mr Kipling Angel Slice. When the boy gets home, he suspiciously rushes upstairs to scoff the sweet treat. Or does he? This “Exceedingly Good Cake” may just turn out to be an exceedingly loving gesture for his grumpy, teen sister. Part of a campaign from McCann London, this slice-of-life spot gives a new meaning to Mr Kipling’s “Exceedingly Good Cakes” slogan. Si&Ad of Academy directed this “Exceedingly Good” spot which is running on U.K. TV and online. Client Premier Foods/Mr Kipling Agency McCann London Sergio Lopez, head of integrated production; Clare Sullivan, executive producer; Claire Hopkins, sr. producer; Laurence Thomson, executive creative director; Matt Crabtree, Si Hepton, creative directors; Matt Searle, Olly Wood, sr. creatives. Production Academy Si&Ad, director; Tom Cartwright, producer. Editorial Assembly Rooms Sam Rice-Edwards, editor. Music Soundtree Music Postproduction CRAFT Color MPC Jean Clement Soret, colorist.